On 10 June 2017 was inaugurated the Astana EXPO 2017 in Kazakhstan. EXPO 2017 focuses on Future Energy and addresses three subthemes: “reducing CO2 emissions”, “living energy efficiency” and “energy for all”. 115 states and 18 international organizations will take part to this event. An Energy Best Practice Area will be dedicated to best environmental practices. The objective of this EXPO is to share renewable energy technologies among members of the international community. The Kazakhstan pavilion will focus on examples of green projects developed in the country and present Kazakhstan to the rest of the world. The Chinese pavilion is dedicated to the energies of the future, the green Silk Road, and shows the latest projects developed by its companies in clean transportation and in the field of cooperation regarding the Belt and Road initiative. Kazakhstan plays a major role in the Belt and Road initiative. Railway lines linking China to Europe pass through this country and Kazakhstan is hosting more and more Chinese companies wishing to settle along the ancient Silk Roads. Energy giant Kazakhstan, the world’s largest producer of uranium, the 10th largest producer of coal, the world’s 16th largest oil producer, is in the process of transitioning its energy supply. In 2013, was launched with the support of the World Bank an energy efficiency project for Kazakhstan. Since then, other programs have been set up in collaboration with the European Bank for Reconstruction and Development and the Asian Development Bank. According to the Kazakh government, the share of renewable energies in national total consumption is expected to reach 50% by 2050, through the construction of wind turbines and solar power plants. 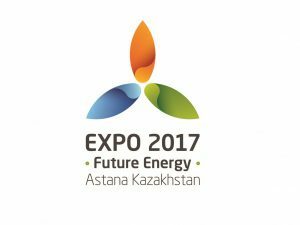 Astana EXPO 2017 will close on 10 September 2017. Share the post "Astana EXPO 2017 and the BRI"
← Faster trains between Europe and China?